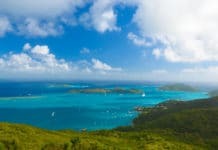 As soon as I became a freediving instructor, I realized that my wetsuit would take a beating. It would be worn twice a day for most of the week, which means that it would compress quite quickly, along with constantly getting rubbed on the buoy from setting up the line, suffering misplaced kicks from students, and sometimes scraping against rocks at low tide. I wanted to have two separate wetsuits: one for my own personal training and one for daily wear at work. 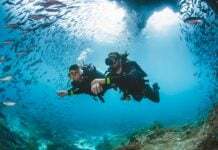 Most of my co-workers have Bestdive wetsuits for work, so my husband and I decided to look into getting the lowest-priced, most durable wetsuit from Bestdive in 3mm, since we work in the Philippines and the water temperature ranges from 26 to 30°C (78 to 86°F) throughout the year. We settled on the Bestdive Yamamoto Nylon Super Stretch with open cell inside. Full disclosure: I work at Freediving Planet, and Freediving Planet’s website does sell Bestdive wetsuits, but I did not get this product for free in exchange for a review. As soon as we received the suits, I spent a few minutes just admiring them. Our suits only come in black, with Bestdive’s very crisp and metallic logo written in silver letters (gold is an option as well) on the front and down the right leg and left arm. We ordered our dive shop’s logo, along with our names, on the back of the suits, and it is very professionally done. The wetsuit comes in 2 parts: a hooded jacket and high-waisted pants, kept together with a Velcro-fastened beaver tail. The stitching around the edges of the hood, arms, and legs is loose, but is reinforced with stronger stitches underneath. Front and back of the Bestdive Yamamoto Nylon Super Stretch wetsuit. We ordered open cell on the inside, which can be done at no extra cost, in order to keep warm during the winter (laugh away, but I get cold easily). One noticeable difference is the thickness of the wetsuit; we ordered 3mm, but this 3mm in no way matched our previous 3mm wetsuits, as it is noticeably thinner. 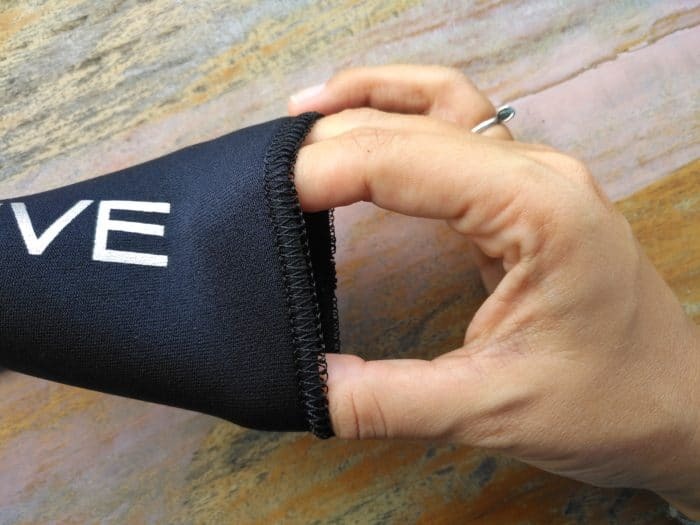 In addition, while Yamamoto is one of the top quality neoprene in the market, it also is known to compress faster than other, less stretchy neoprene, so that should be taken into consideration. One thing about the Bestdive wetsuit that I can really appreciate is the ease of getting it on and off. I cannot comment on the nylon inside suit, but with the open cell inside, putting on the suit in water or using soap is very easy and quick, and not a struggle at all; the same goes for taking off the wetsuit. This might be due to the thinness of the suit, but even if so, I really value this as an instructor since I have to wear a wetsuit so often. The nylon is also super stretchy, which provides a great range of motion, and is seriously comfortable to wear. 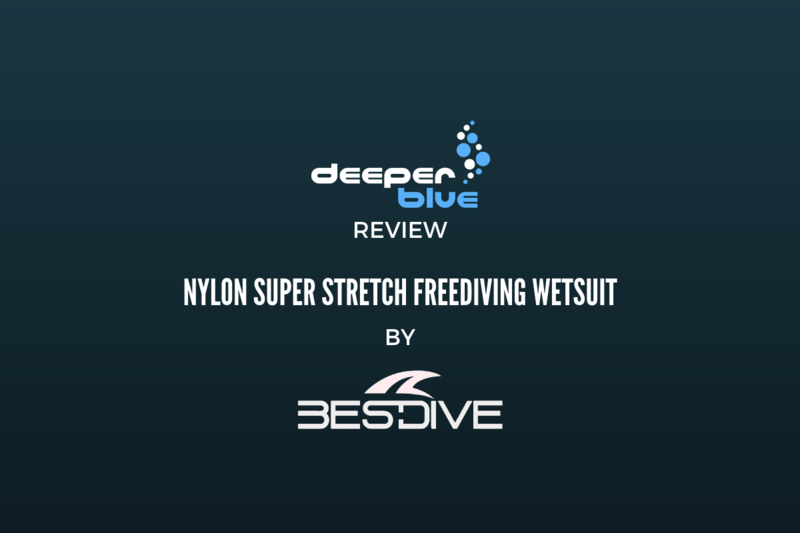 Bestdive Yamamoto Nylon Super Stretch freediving wetsuit. 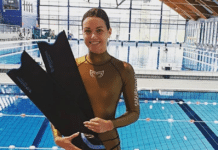 If you are ordering this wetsuit in a standard size, another positive is that the sizing of the top and bottom can be mixed and matched to ensure the closest fit possible. Unfortunately, the sizes run a little small on the height side; I ordered a medium tall wetsuit and I am 1.62m (5ft 4in), and the suit is just barely long enough for me. Taller people should consider getting a custom wetsuit in order to avoid bottoms that are too short for them. The Bestdive Yamamoto Nylon Super Stretch wetsuit is not very competitively priced for being a standard-sized, nylon wetsuit. In 3mm, it feels thinner than other suits, which I personally do not mind since I work in tropical conditions, but a freediver who lives in a varying climate will definitely need two separate wetsuits. I love how easy it is to put on and take off, and it is seriously comfortable and smooth on the inside, but I would like the option of choosing a single frog fastening instead of being limited to only Velcro. Stitching on the wrist of the Bestdive Yamamoto Nylon Super Stretch wetsuit. 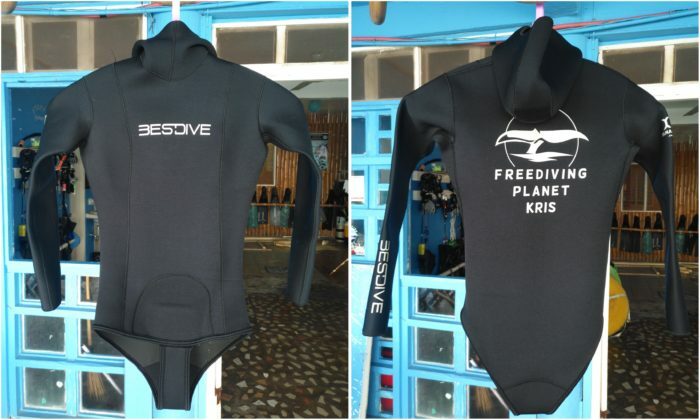 The ability to put your logo and your name on the wetsuit is a really cool and inexpensive option. The stitching is quite disappointing; I have had the wetsuit for 4 months and there are loose threads in a few places, although my co-worker has had her wetsuit for 10 months now (same wetsuit model as mine) and it seems to be fairly durable considering how often she uses it. Loose threads on the wetsuit. Bestdive also does not have an English website, which means that your orders will have to go through a third-party.  I found only a few websites selling Bestdive wetsuits in English, the easiest one to order from would be Freediving Planet’s website. If you would like to order a custom Bestdive wetsuit or add a logo to it, you can e-mail [email protected]; otherwise, for a standard sized suit, you can visit their website and order from there. 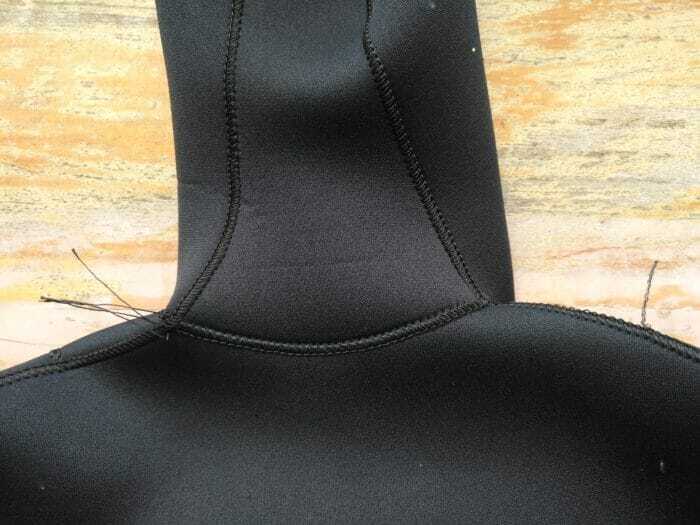 While the Bestdive Yamamoto Foam Nylon Super Stretch wetsuit looks great and is very comfortable, it is a bit expensive for a nylon wetsuit, thinner than other brands, and has a lot of loose stitching. Personally, as long as I continue working in warm sea temperatures, I would buy this wetsuit again.